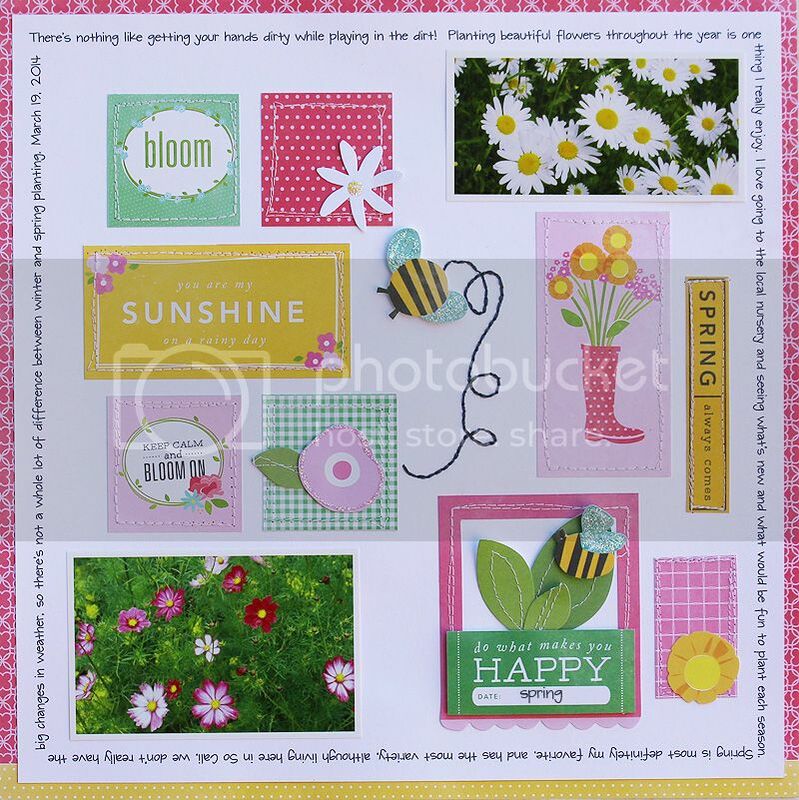 The April kits are up at My Creative Scrapbook!! Here's a layout I made using the Main kit. I used lots of bits and pieces from the Garden Party collection by Pebbles, all included in the kit. I did a little machine stitching and even did some hand stitching for the bee's flight path. Here's a pic of the kit so you can see all the fun goodies that are included, go here to order and take a look at all the other amazing kits for April too! i really like this layout! it's bright and fresh. i absolutely adore journaling around the perimeter of a layout. Wonderful page design. I like how the stitching connects your elements. Very pretty! 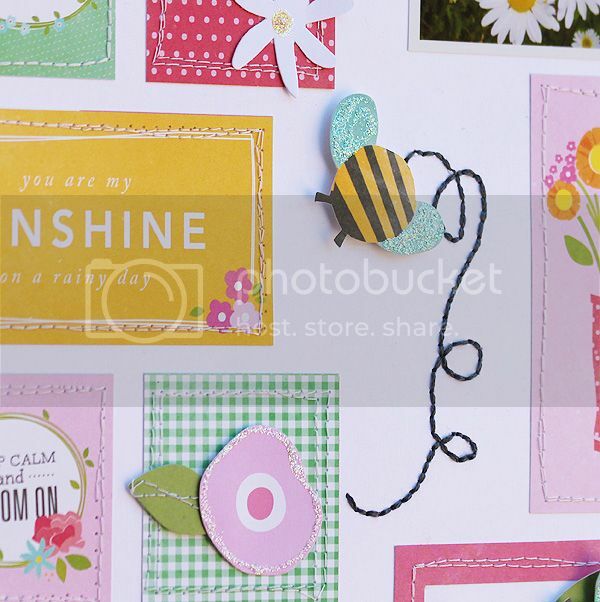 So very bright and pretty, spring on a page! Oh Mary Ann, this is beautiful! I love the detail of the bee trail stitching! So pretty - bright and springy! So fun and pretty! Love the grid design. Super cute layout! I love all the stitching! Gorgeous layout, Mary Ann!! Love your stitching and the great grid design!! I LOVE this! It is so happy and bright and it made me smile as soon as it hit my screen!